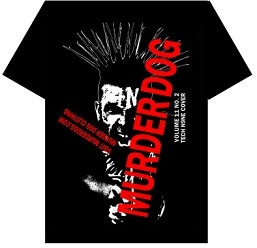 MurderDog magazine has released its own line of t-shirts under its MurderDog Clothing brand. Among the first set of tees, MurderDog has chosen to print a new Tech N9ne tee based on his famous MurderDog cover shot. 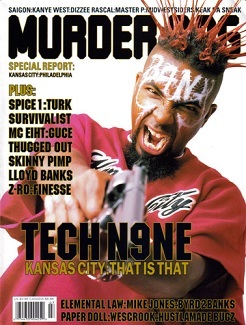 The image features Tech N9ne in his iconic facepaint and red hair, pointing the barrel of a gun at the camera. Fans can purchase the official Tech N9ne MurderDog tee by clicking here.